HISTORIANS are increasingly using modern media and technology to share their passion for the past, and University of Huddersfield researcher Joe Hopkinson has received a prestigious national award for his innovative combination of written text accompanied by a high-quality documentary film probing a now controversial approach to the education of immigrants. 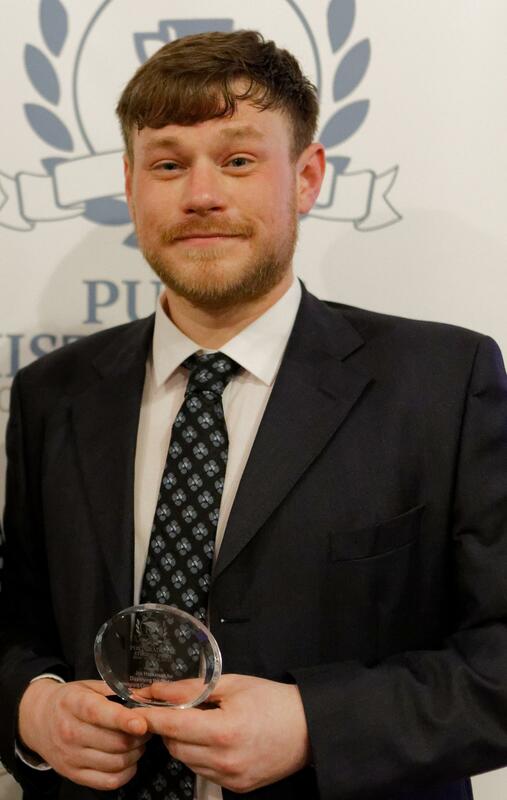 The Royal Historical Society awards annual prizes for Public History and Joe is the 2018 winner of the Postgraduate Student category. The judging panel included Professor Mary Beard, one of the best-known current TV historians, and winners of other categories included David Olusoga, presenter of highly-praised documentaries. Joe Hopkinson, now 28, studied for BA and MA degrees at the University of Huddersfield and has now begun research for a PhD in which he examines the experiences of commonwealth immigrant children in Britain between the 1960s and 70s. It builds on his highly successful Master's project, in which he investigated how Huddersfield was one of a small number of local authorities in the 1960s and 70s that practised a policy of "bussing" children from Caribbean and Asian immigrant families so that they were dispersed around the district's schools. "It was indicative of how highly racialised the era was," said Joe. "It was definitely done with good intentions, but the logic they used to justify it is quite shocking today. "There was a belief in the superiority of British culture, and immigrants were expected to fully assimilate into it." Joe recorded interviews with ex-pupils from ethnic minorities and with two of the educational officers who administered the policy. He soon realised that instead of submitting a purely written thesis, he wanted to supplement it with his own documentary film. He sought specialist help and advice from experts, including the internet-based Kirklees Local TV. He was also able to incorporate footage from a 1969 BBC Panorama report on the bussing of immigrant children in Huddersfield. Therefore, Joe's completed dissertation was an innovative combination of in-depth text with a 25-minute documentary – now available online – in which he conducts interviews and provides the narration. This is the package that impressed the Royal Historical Society judges and earned his award, conferred at a ceremony in London. "I was conscious at the start of my Master's that I wanted to produce some kind of media that could be consumed by the public, so quite early on I decided to make a documentary," explained Joe. "I am really proud that that it has led to the Royal Historical Society Award and it was wonderful to meet so many famous historians at the ceremony. I think it's important for historians to engage with the public and this is obviously best done through digital media these days." Joe's PhD will also lead to a written thesis accompanied by a tailor-made film, and he has begun the process of seeking interviewees in both Huddersfield and Liverpool. After achieving First Class Honours and a best dissertation prize for his BA in history at Huddersfield, Joe – who is a former pupil of Newsome High School and Greenhead College – was offered a Vice-Chancellor's Scholarship for his Master's degree. Now, for his fully-funded doctoral research, he is part of the Heritage Consortium, administered by a network of universities, including Huddersfield and backed by £1.85 million of funding from the Arts and Humanities Research Council. Its aim is to train the next generations of experts in the field of heritage and public history. * The University of Huddersfield now offers an MA degree in Public History, Oral History and Community Heritage. Students produce a thesis of between 15,000 and 25,000 words and a public-facing output such as an exhibition, film, oral history archive or collaboration with a community organisation.